Kraus & Naimer was founded in 1907 by Lorenz Naimer and Franz Kraus. The first workshop was set up in the basement of a building in Vienna. Electricity had just started to conquer the world, but switchgear as we know it today did not yet exist. Kraus & Naimer has pioneered many new developments. By the end of the twenties, they had already started to use the new material Bakelite. 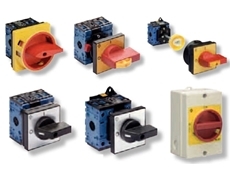 The new Bakelite switch became known and accepted in the industry. By the early thirties, Kraus & Naimer had grown to 50 employees. In 1945, during the last days of World War II, the factory took a bomb hit in an air-raid and was heavily damaged. Mrs. Kraus perished in the shelter of the house. He introduced the modular cam switch shortly after and a global production and distribution network set up. After 57 years of hard and successful work, he passed away at the age of 82 in 2004. In the difficult post-war period, modern tooling machines were bought in difficult economic and political situations. 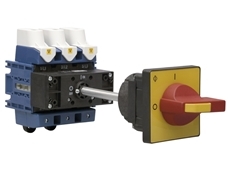 The modularly designed cam switch was introduced as early as 1949 and revolutionised switchgear technology, its characteristics influencing all subsequent designs. Since 1960, six more manufacturing sites were built around the world including; Germany, Ireland, New Zealand, Brazil, U.S.A., Hungary. Between 1968 and 1970 an additional production facility was built in Weikersdorf, some 40 miles south of Vienna. In 1989/1990 a modern assembly facility was added. Today, Kraus & Naimer employs some 1100 people worldwide and manufactures around 4.3 million switches a year. Kraus & Naimer's leadership is based on products that deliver high technical standard, good quality and an international presence. Qualified engineering and customer support consultancy, local stock and on-site assembly facilities guarantee quick and reliable service. 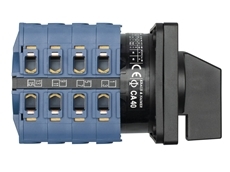 Over the years, Kraus & Naimer has evolved as the undisputed market leader for cam switches and has established the standards for switch disconnectors. Based on numerous patents, the existing product line encompasses the global market place and offers technically and economically optimised solutions for virtually every application imaginable. 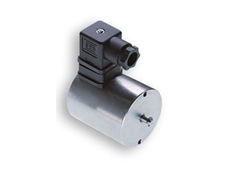 Kraus & Naimer products are available through Australian Solenoid.